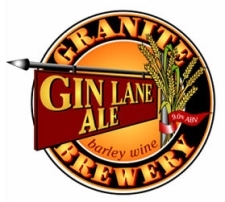 TORONTO, ON – The Toronto location of the Granite Brewery will be putting this year’s version of their fall/winter seasonal, Gin Lane Ale, back on tap starting on October 19th. Brewed each year since 2005, Gin Lane Ale is a 9.0% Barley Wine. It will be available on tap in the brewpub, as well as in growlers to go.